Norwegian captain Helly Juell Hansen wanted to find a better way to protect his sailors from the harsh, Nordic weather. By applying linseed oil to cotton canvas, he created supple, water-proof apparel. 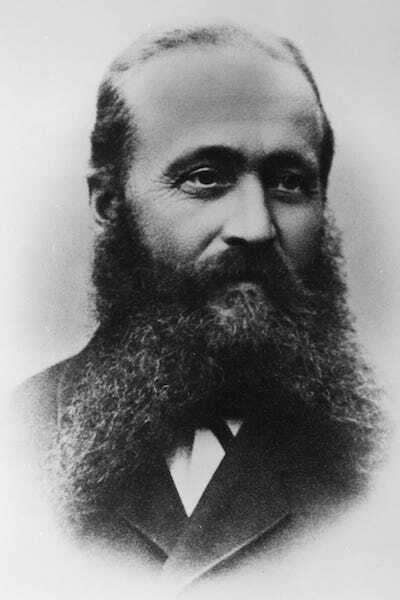 Soon after, he and his wife Margarethe started producing “oilskin” jackets and pants in Moss, Norway. Their waterproof gear was an immediate success, landing our first product award at the World Expo in Paris in 1878. 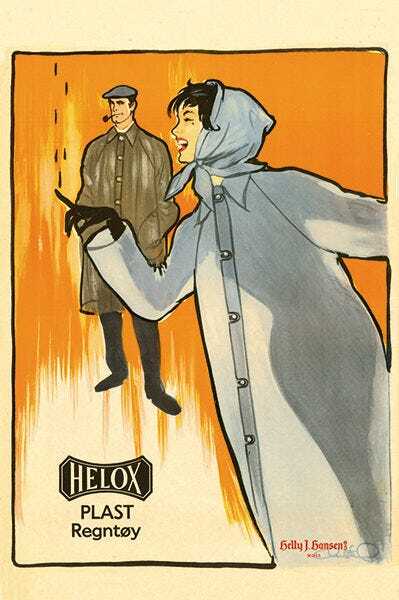 Helox waterproof fabric featured a thin sheet of translucent PVC plastic that was sewn into coats took to make them waterproof. It was a revolutionary technology that became the must-have protection for outdoor use. With a production of 30,000 coats each month, the success was almost immediate and was used by the Norwegian delegation at the 1952 Olympic Games in Helsinki. 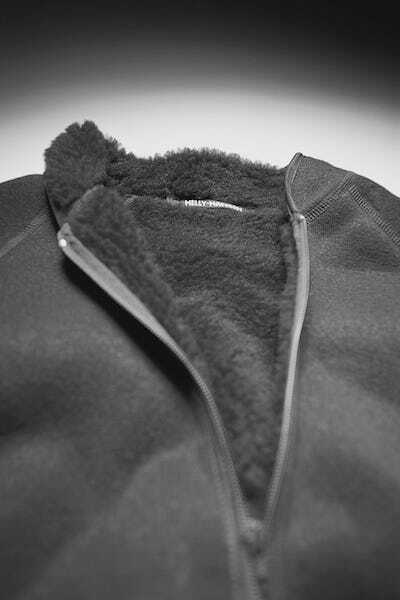 Helly Hansen partnered with Norwegian Fiber Pile Inc. and developed the original Fiberpile – the first fleece. It featured a high warmth to weight ration and maintained its thermal qualities even when wet, making it a favorite of lumberjacks and outdoor enthusiasts. The concept lives on and the modern version of ProPile is still in production today. 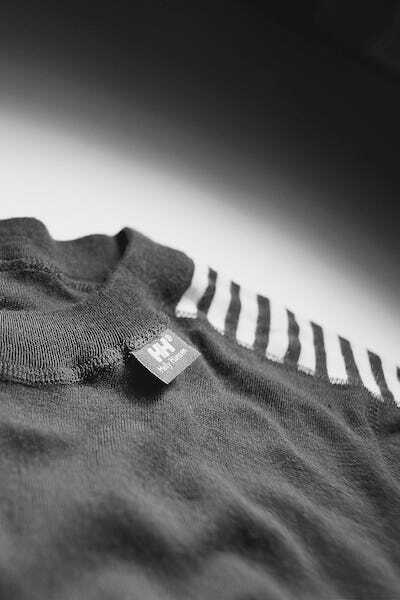 HH’s LIFA® revolutionized the industry with the introduction of the first technical baselayers. LIFA moves moisture away from the body allowing users to stay warm and comfortable. It has been used by professionals on every ocean, many of the world’s tallest peaks and was included in Outside Magazine’s list of The Most Influential Gear of All Time in 2012. LIFA® remains the cornerstone of what we believe is the best technical baselayer available today. Helly Tech® waterproof and breathable fabric was launched in the 1980’s, winning awards and setting the new standard for performance and protection. 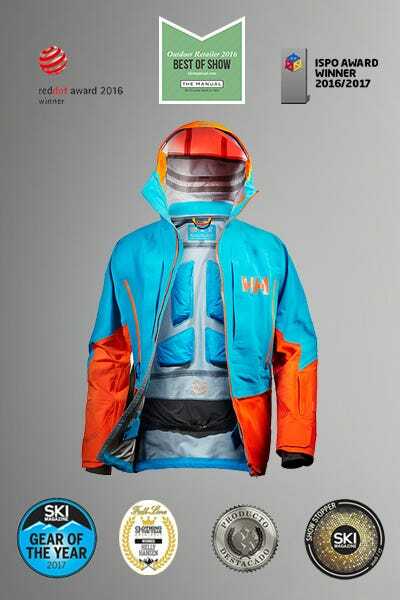 It also provided the final layer for the 1986 introduction of the Helly Hansen 3-Layer System™, an industry-first program educating people on how to dress for the outdoors. Today, Helly Tech fabrics are engineered to deliver the specific demands of professional’s skiers, sailors, and at workplaces around the world. The Prowool (renamed HH®Warm™) baselayer for cold weather conditions was launched in the late 90’s, combining Lifa® Stay-Dry Technology™ with Merino wool for both moisture transport and added warmth. Designed for professionals facing the coldest conditions it quickly became the go-to piece for performance, warmth and comfort in extreme environments. In response to demands from professionals around the world, footwear was added to the product line. One of our first efforts was an award winning sailing boot. 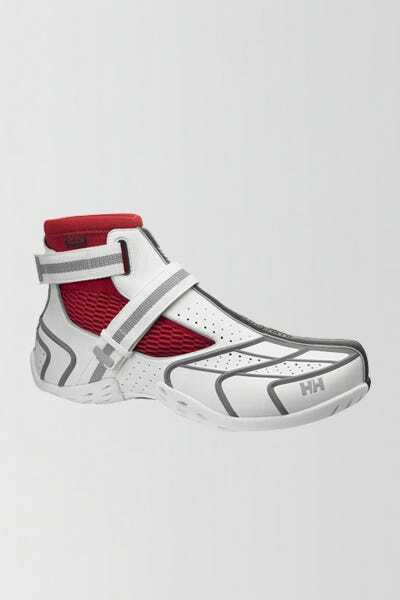 Today, Helly Hansen broad range of shoes and boot are worn by professionals and enthusiasts on mountains, oceans, streets and workplaces around the world. 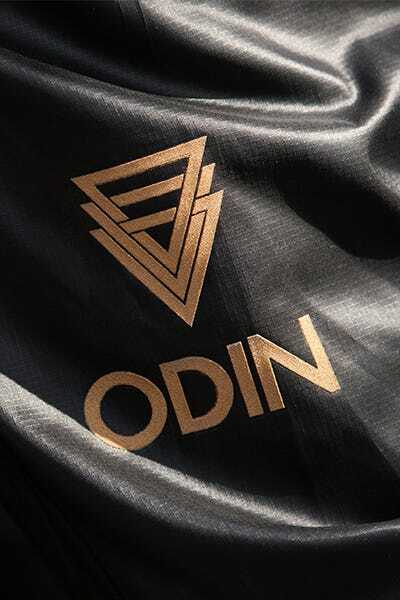 Launched summer 2008, the Odin gear is the materialization of our 3-Layer System™. Made for serious mountaineers and athletes, it’s a complete, technically evolved checklist for all high-altitude environments and conditions. The Odin collection won the Red Dot Design Award the same year. 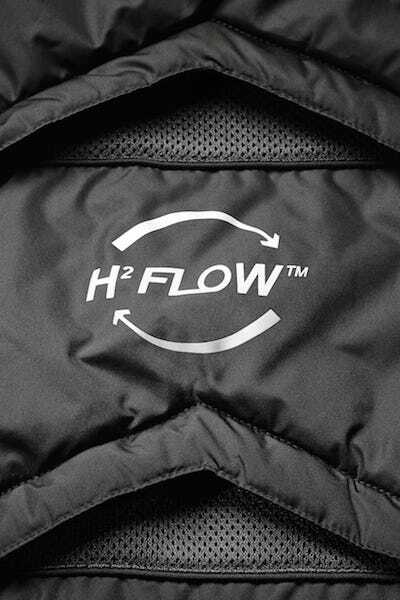 Helly Hansen introduced the new H2 Flow™ Technology in 2012 with the H2 Flow™ Jacket, which won an Award for Design Excellence from the Norwegian Design Council. The patented H2 Flow™ Jacket features an airflow venting system and a protective barrier. It allows adventurers to efficiently regulate their body temperature. Inspired by the son of Thor in Norse Mythology, the Magni line was introduced and immediately set a new standard for protection, durability, and performance in the workplace. The Elevation is our most award winning jacket ever! 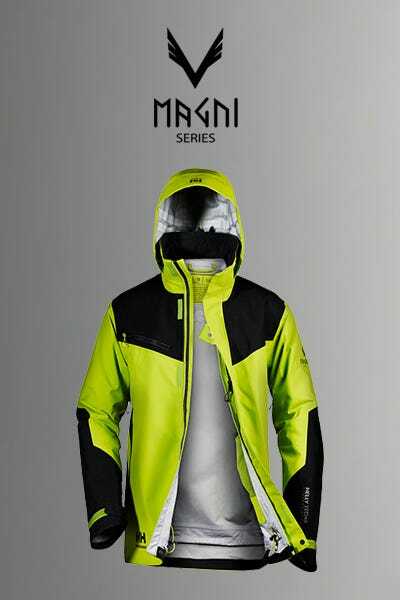 It is a durable shell designed, developed and tested with professional freeride skiers. It combines a new Helly Tech® Professional fabric with an unparalleled level of breathability and protection, and our innovative H2Flow™ temperature regulating system which dramatically improves your comfort. In commemoration of our 140 Year Anniversary, we introduced The 140 Collection. The collection tells the story of Helly Hansen by featuring the key technologies of our history. 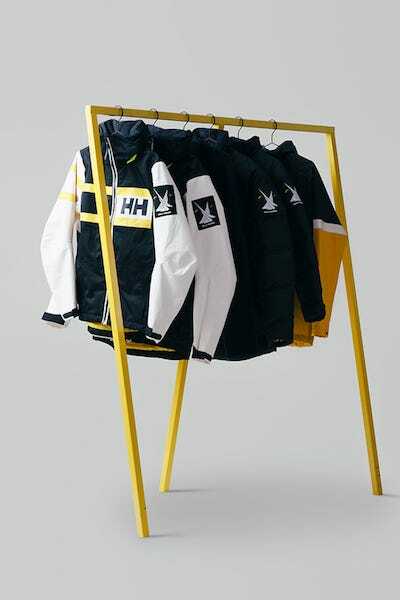 The retro stylings and signature Helly Hansen technologies make this collection a favorite amongst Helly Hansen aficionados. Explore the 140 Collection.